Research revealed that about 94% of all negative feedback websites received is about design. In fact, up to 75% of users judge a brand's credibility based on the website design alone. Add to that, around 88% of users are less likely to visit a website again after a poor first-time experience. These numbers prove the point that website design is vital in generating site traffic, improving brand awareness, and lead conversions. Granted, just like fashion, most of "what's new", isn't really "new", it's just the inevitable 10-year cycle re-run. In this 2019 it's the return of large-scale uppercase texts, condensed typefaces, low-weighted fonts, low text-background contrast, negative text-background polarity, etc. Hence, Tandemnz.co.nz, a B2B digital agency company who has been connecting brands with their consumers, have narrowed down the top three website design trends of 2019 without the need to focus on fonts, colours, sizes, and other imagery. This 2019, the focal point is all on enhancing user experience and personalizing interactions. This can be achieved by incorporating artificial intelligence into the platform. Research shows that almost half the global consumers are more apt to buy from websites that personalize their online experience. Artificial intelligence can be incorporated through machine learning, personalization, product suggestions, and more! Break away from the traditional grid-like format and find new ground with unusual elements such as asymmetrical layout, brutalism aesthetics, free-form design, and more! 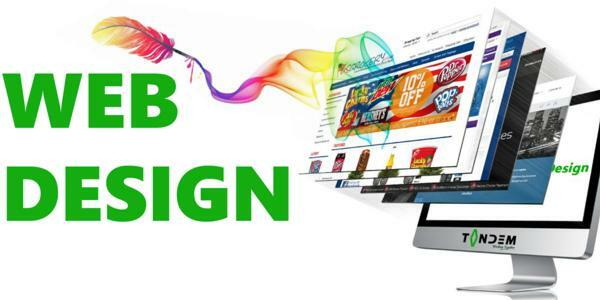 77% of web design experts believe that unpredictable layouts can promote a brand's identity massively. But, in order to pull this off effectively, brands should have conducted extensive consumer research prior, and figure out if a unique layout will work for them or not. Grab the user's attention within 17 milliseconds (or less) with custom-made illustrations, not just stock images and videos. This can even be accomplished with phone cameras if the stock is not available. Distinctive illustrations can help accomplish brand recognizability, call to action, and more! When online businesses invest in redesigning their website, they also invest in better user experience, and better user experience means users are more likely to actually convert and return again, consequently generating revenue.